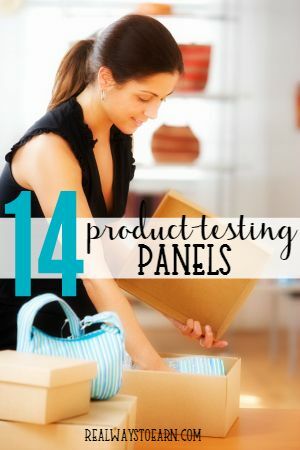 There are a lot of ways to get free products to test out and keep. Most of the companies that offer opportunities to do this do not ask for anything in return apart from a written review, social media share, or simply sharing the product with your friends. Below you'll find a big list of sites you can sign up with for product testing. If you want the max amount of opportunities, you should definitely sign up with more than one! None of these cost anything to join. However, getting products to test isn't always a guarantee since competition for various product offerings can be strong. BzzAgent – Read Review – I have experience with this one. I've tested Teddy Grahams and Ziploc microwave bags among other things. Chatterbox – Read Review – This is something House Party offers where you can get free products to test and keep without having to have the actual House Party. Expo TV – Read Review – Get free products for doing video reviews. Homeschool.com – Testers are selected randomly, based on geography, age of children, etc. Not every family will be selected. Ripple Street – Sign up to do house parties with friends/family where brands send you their products for your entire group to try. This site was formerly known as House Party. Influenster – Read Review – Every month or so they release something called a “Vox Box” full of full-sized products. In exchange for receiving it (if you're lucky enough to be selected to get it), you have to review and share the products across social media. InStyle Trendsetters – You'll have insider opportunities to evaluate brand-new products, and even give us feedback about InStyle itself! Mom's Meet – Read Review – You can become a “mom ambassador” for Mom's Meet. This is mostly testing green, all-natural products. Naturally Savvy – Naturally Savvy will send you “green” products to test. They are not always open for registration. BetaBound – BetaBound is a free service provided by Centercode that offers you a chance to participate in beta tests. . Members have tested products from Logitech, Dell, TomTom, Apple, T-Mobile, Polycom, Kodak, Yahoo!, and many other great companies. Pinch Me – Read Review – Sign to up to receive free samples to try. What they have changes frequently and samples have been going fast, so you'll need to be quick. When you sign up, they send you a confirmation code via your mobile phone that you'll have to put in to get your account active. She Speaks – Read Review – I have tested a Sonicare electric toothrush and an Oreida potato masher for She Speaks. They are great! Smiley 360 – Read Review – Smile.ly sent me a huge box of K-Cups for my Keurig this past summer from Green Mountain Coffee to test out. The Pink Panel – Get the opportunity to test out new beauty products and provide your opinion. US Robotics – Become a product tester for US robotics and get free products to test as well as occasional promotional items. Vocal Point – Powered by Procter & Gamble. Occasionally offers products to test. Wear Test – Testing New Balance shoes. Looking for more info on product testing from home? I wrote an entire eBook about it. You can download it here at Amazon for just $2.99, or you can read it free with a Kindle Unlimited subscription.